If you’re wondering how to level up in Ingress, you came to the right place. That is probably your first thought when you start playing. To level up you need to get enough experience. In this case you will need to gain Access Points (AP). 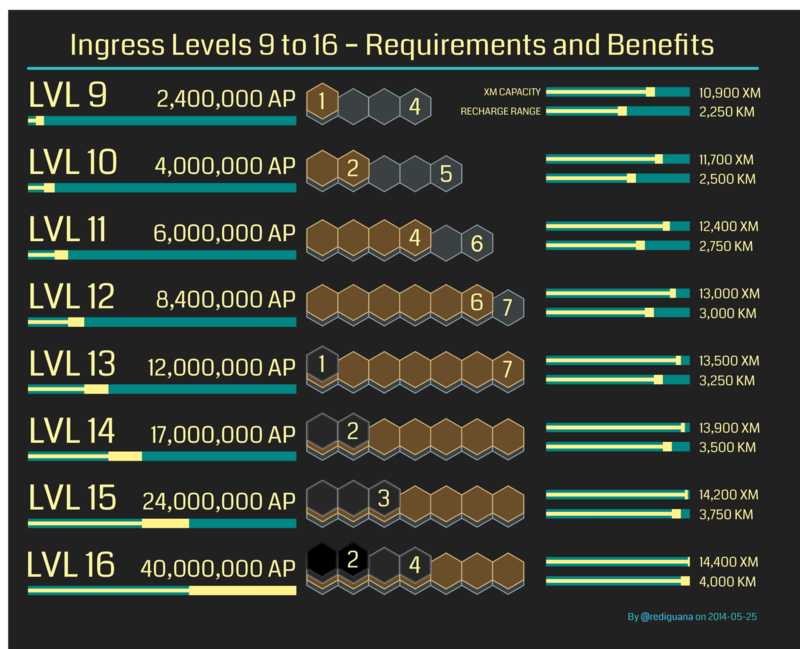 You can get AP by helping your faction in portal control (resonator deployment), link and field creation, or destroying the other factions hard work. The current maximum Agent Level is 16. Note: Each badge counts as one badge of its level as well as every level below it. For example, 1 gold actually counts as 1 gold, 1 silver, 1 bronze.